Profiling acts breaking at radio and/or retail and entering Billboard's charts. After winning the World Series last year, Boston Red Sox pitcher Bronson Arroyo stepped off the mound and into the studio to record "Covering the Bases," a collection of modern rock cover songs. And it seems as though he is bringing the heat to a whole new ballgame. Arroyo's album debuted at No. 2 on Billboard's Top Heatseekers chart last week, after selling 9,000 copies. It was also No. 1 on the Northeast Heatseekers Regional tally thanks to a whopping 6,000 copies sold in Boston alone. "Covering the Bases," which was released on Arroyo's own label and distributed by Asylum/WEA, features the 27-year-old hurler-turned-singer's favorite songs from the 1990s. Tracks include Foo Fighters' "Everlong," Pearl Jam's "Black" and Stone Temple Pilots' "Plush." "I wasn't really much into music until 1992 when I heard Stone Temple Pilots' 'Plush' on the radio one day when I was sitting in my room when I was about 15," Arroyo says, considering the songs he chose for the album. "That song kind of jump started my interest in music because I hadn't heard anything that sounded like it before. So then I slowly started listening to bands like Pearl Jam and Alice in Chains." 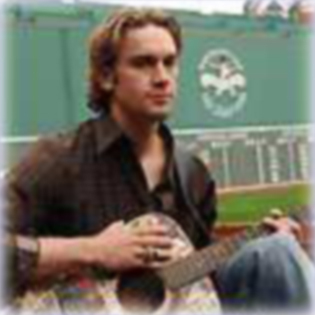 Arroyo first picked up a guitar in 1999 and started playing for his teammates while on the road. Word got around about his interest in music, and while driving home after winning the World Series he found himself on the phone with producer Loren Harriet. In 2003, Harriet had worked on "The Journey Within," an album by New York Yankees player Bernie Williams, and he saw the same potential in Arroyo. However, due to time constraints and his limited music experience, Arroyo wasn't able to record any original material. "I haven't really enjoyed writing my own stuff, but if someone writes something for me that I feel is good or I write something myself that I like maybe I will record it," he says. "I've never taken music that serious, it's been strictly a hobby up until this point. I still view it as that... but I think there will definitely be an opportunity [to record original songs in the future]." Lending a hand on his debut is a slew of special guests, including Mike Inez of Alice in Chains; Red Sox teammates Johnny Damon, Kevin Youkilis and Lenny DiNardo; and novelist Stephen King. Arroyo says King got involved because "we knew he was a big Red Sox fan, and there was a part in 'Everlong' [where Foo Fighters singer] Dave Grohl is just kinda whispering in the background and you can't really understand what he's saying. We thought it would be neat to put something in there. My producer thought Stephen would be great for it because it's kind of a dark song and obviously [King] is a great writer, so we let him write his own lyrics." Although the album has been a success so far, Arroyo isn't looking to quit his day job any time soon. "I am definitely nervous playing music because I'm not as comfortable or confident as I am on the baseball field, especially when it comes to my guitar abilities," he says. "When I'm on the mound I'm completely comfortable, no matter what's going on or how loud the crowd is. In baseball, the crowd really has no part in what's going; it's more of a battle between me, my catcher and my hitter. Musically it's the complete opposite. I feel like the crowd has everything to do with what's going." So for now he's just hoping to continue his lucky streak when it comes to the Red Sox/Yankees rivalry: "I think it would be pretty cool if we could outsell Bernie [Williams' album]. So we'll see if we can do that."